Providing you the best range of 9 axis cnc machine for jewellery, 2r syncro single head cutting machine, double head chain cutting machine, double sided strip cutting machine, kanas bangle cutting machine and single head bangle cutting decorative faceting machine with effective & timely delivery. Best “RDM” Brand Model “PRAKASH SYNCRO – 9 Star” 9 Axis CNC Machine for Jewellery with Latest Technology Controlling System and Special User Friendly Software for Flat and Half Round Bangle and Flat Ring Automatic for Easy Product Development, 60000 RPM Pneumatic Tool Changing Spindle for Vertical with Fastest and Highly Precision Servo Motor all axis Control Of the Machine with Powder Coated Stand Specially Design to Get Maximum and Easy Recovery of the Metal, Spray Lubrication System for Cooling of Cutting Tool and Metal. 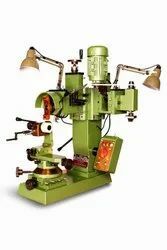 We offer Best RDM Brand Model “PRAKASH” Automatic 2R Syncro Single Head Cutting Machine for Illusion Plate with Controller Only. 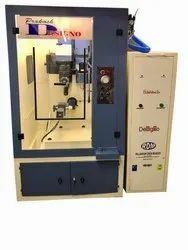 We are a coveted industry engaged in offering our clients a precisely engineered range of Double Head Chain Cutting Machine that is prepared under the astute supervision of our expert professionals. 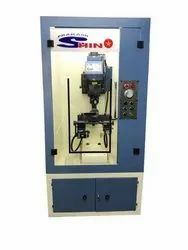 Besides, our offered machines are available at the market leading prices for the customer satisfaction. Manufactured with perfection, our range of Double Sided Strip Cutting Machine are widely demanded. This offered range has been manufactured and developed using superior grade components in compliance with the organization laid quality parameters. 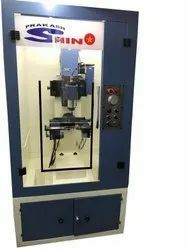 Also, these machines are tested by quality controllers stringently before their delivery. 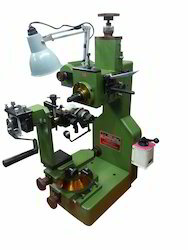 We are counted among the leading manufacturers and exporters an excellent range of Kanas Bangle Cutting Machine that do not require much maintenance and available at the market leading prices. Also, manufactured under expert guidance, our range has high demands in the market. 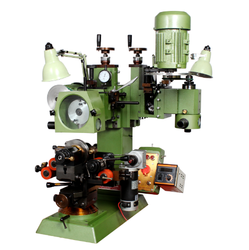 Designed with utmost precision by our expert team of professionals, our Single Head Bangle Cutting Decorative Faceting Machine has been catering to the clients' demand for long. In addition, clients can avail this range at very reasonable prices that facilitate their satisfaction as well. Best “RDM” Brand Model “PRAKASH” DESIGNO double head combined (Horizontal & Vertical) computerized numerical control machine with latest technology controlling system and special user friendly software for designing of Flat and Half Round Bangle and Ring, Electronic control panel with online maintenance and setting of drive parameter, mpg controls for jogging of all axis and speed feed parameters, Online Z dipping panel, Digital A.C. Drive (VFD) for 60,000 RPM high frequency vertical pneumatic tool clamping spindle, Folding powder coated stand (enclosure) specially design to get maximum and easy recovery of the metal, Spray lubrication system for cooling of cutting tool and metal Only. 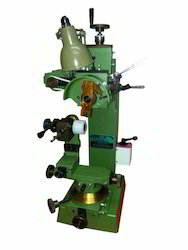 Best “RDM” Brand Model “PRAKASH ” Double head combined (Horizontal & Vertical) computerized numerical control machine with latest technology controlling system and special user-friendly software for designing of Flat and Half Round Bangle and Ring, Electronic control panel with online maintenance and setting of drive parameter, mpg controls for jogging of all axis and speed feed parameters, Online Z dipping panel, Digital A.C. Drive (VFD) for 60,000 RPM high frequency vertical pneumatic tool clamping spindle, Folding powder coated stand (enclosure) specially design to get maximum and easy recovery of the metal, Spray lubricationsystem for cooling of cutting tool and metal. 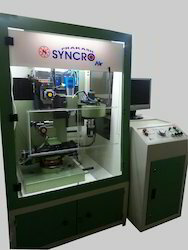 Best “RDM” Brand Model “PRAKASH – SHINO” 6 Axis Single Head Horizontal for Round, Oval Ball and Pipe(Length 15 mm) Powder Coated Cabinet, Controller with Fuji Servo Drives and U.S.A Make P.C.B for Controlling the Japanese Make Fuji Motors Panel for axis Jogging with Jog Wheel and Imported Selector Switch . Without Computer and Inverter. HeadVertical 24000 RPM high frequency Spindle for round, Oval Ball and round shape Pipe. Silky dulling attachment, Powdered Coated Cabinet, Controller with Fuji servo drives and U.S.A make P.C.B for Controlling the Japanese make Fuji Motors. Panel for axis Jogging with Jog Wheel with imported selector Switch and Without Computer.